A majestic mountain belts ranging from West Asia between Black Sea and Caspian Sea. The Caucasus mountains extend its reign from Southeastern Europe into Asia. Volcanic points noted in these ranges. The entire region significantly exposed to strong earthquakes from the volcanic activity and movement. The top peak in Caucasus range of mountain known as the Mount Elbrus. This location can be found in Greater Caucasus. The Caucasus mountains known for snowfall and it may cover to a depth of 5 meters. The slopes of the mountains normally covered with oak, maple forests. These types of trees typically have the characteristic that can withstand extreme weather. The climate and the temperature of the Caucasus fluctuate both vertically and horizontally. Some of the lower areas covered with grasslands. This breed of leopard known as panthera pardus saxicolor, is one of the rarest breed found in this ecoregion. Its leopard print is one of the most beautiful and unique. The print of leopards also popular appearing in olden stone carvings, myths and cave wall paintings. It holds a symbolic of great wisdom and the ability to survive in very harsh and difficult circumstances. Caucasian leopards have a widespread along the Caucasus since a century ago. Today, only around 100 of them left roaming around the Caucasus region. 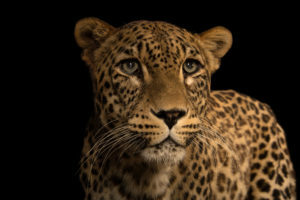 It is at a rapid declining stage of existence for these leopards. 2 different breed turs of West Caucasian turs (known also as Capra caucasica) and east Caucasian turs (known as Capra cylindricornis). These are the endemics to the Great Caucasus Mountain Range. 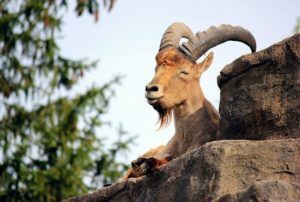 Their favorite inhabitants are around the narrow range in highlands. They dwell in high mountains and they mainly eat grasses and leaves. These turs are nocturnal animal where they hunt and eat during the night and find shelter during the day. They often preyed upon by wolves and lynxes. Females turs have the habit of living in herds, while males turs are in solitary. 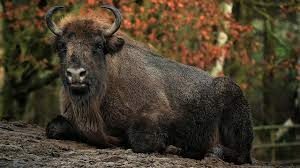 The European bison (also known as Bison bonasus) is the largest herbivore in size wide spreading in Europe. They are completely herbivorous and hunt for simple food such as grass, barks, or acorns. These type of Bison have widely spread throughout the Caucasus and western, central and south-eastern Europe. Two nature reserves them and can be found in Russian Caucaus region. This shows that the European bison is under serious threat as there just over 70 bison left. The above-mentioned deer species noted the subspecies of red deer (known as Cervus elaphus maral). 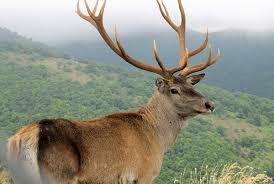 Caucasian red deer now the most endangered deer species noted in the South Caucasus. The Caspian red deer were hunted for its velvet antlers. People hunt these antlers for is beneficial to use such as medicine for a wide range of many health problems. These deer possess rapid speed when sprinting helping them to escape from treacherous predators. Now we are looking at a flying predator. The imperial eagle (also known as Aquila heliaca) is originally a lowland living species. It has large and powerful wings that makes them a sharp predator. However due to the human burdens, it has been pushed to live in higher altitudes. Imperial eagles normally found in the south-eastern part of the ecoregion Caucasian mountain. 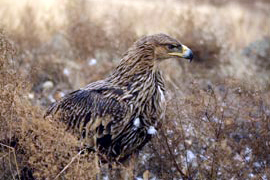 Imperial eagles has suffered a rapid decline in recent periods. This species of eagles are now the most extremely rare or even facing extinction in many areas. 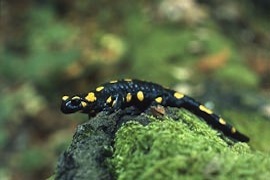 The Caucasian salamander (also known as Mertensiella caucasica) is endemic to the western Lesser Caucasus Mountain range. The Caucasian salamander is a tailed amphibian and their dwellings are normally found in streams. One single habitation usually consists of several hundred breeds of salamander. This is a salamander has a build of medium size. Caucasian Salamander is consider a relict species.